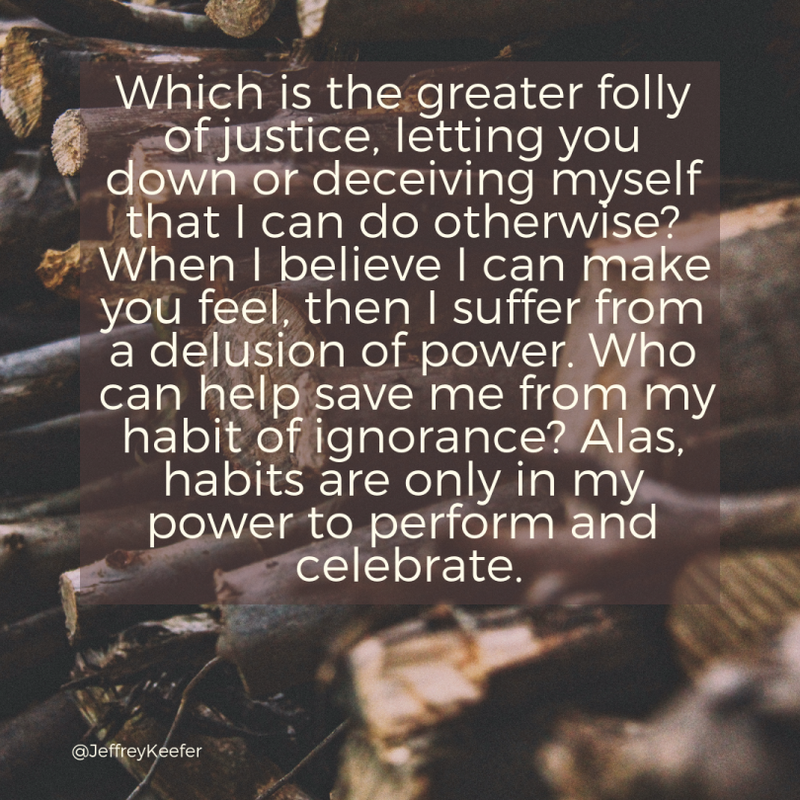 Which is the greater folly of justice, letting you down or deceiving myself that I can do so? When I believe I can make you feel, then I suffer from a delusion of power. Save me from my habits of ignorance, for they are only in my power to perform and celebrate.